Murals are a great way to add character and colour to a room or building. It can be bold or subtle, big or small, simple or complicated. Have a look at some of the murals, I've made so far! Design - This mural design is based on one of the company's six logos. It represents the earth, water and sky. 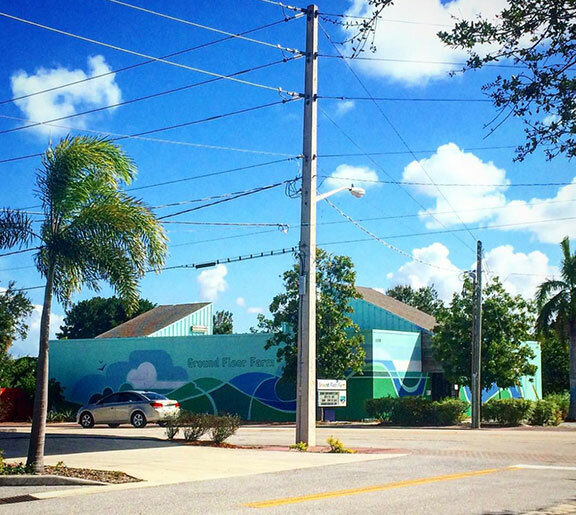 3 elements that this urban farm in Stuart, Florida values. Design - The mural design is inspired by the work of the Dutch illustrator, Rien Poortvliet. The mural depicts a stag, bunny and a couple of birds on a foggy morning. Small gnomes are present, and even the entrance to their underground shelter can be found. An interesting feature of this design is the actual birch branch that is 'supporting' the ceiling. Design - The mural design is inspired by the animated tv-series of 'David, the Gnome'. It depicts Swift, the fox and other creatures of the forest like the owl, bunny and robins. If you look closely, you can also find David and his wife, Lisa.